Should I give to...? — The Good Cause Co.
National Heart Foundation of Australia work to “reduce suffering and death from heart, stroke and blood vessel disease in Australia”. 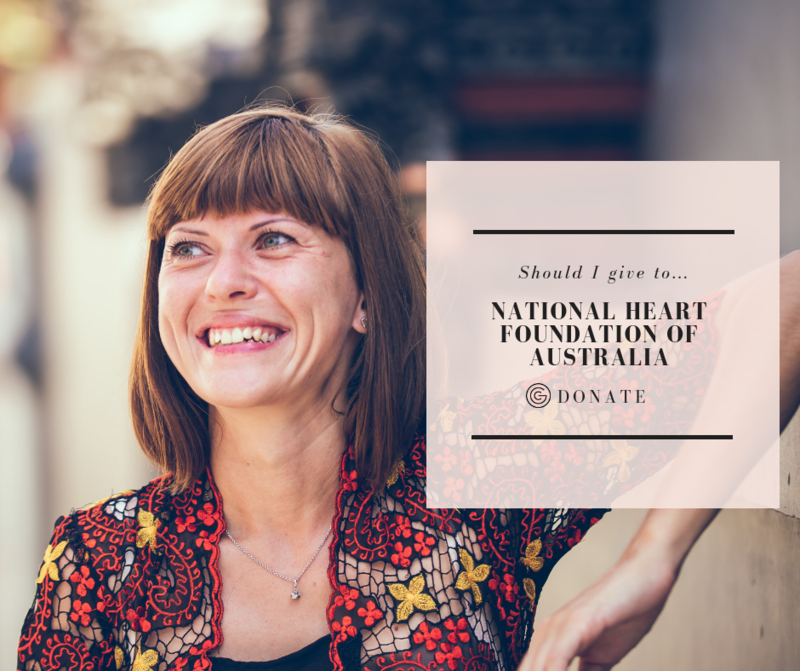 They do this through support of “research into the causes and cures of heart disease, the rehabilitation of sufferers from heart disease, professional and community education about heart disease.” We recommend you donate to National Heart Foundation of Australia. McGrath Foundation “raise funds to place McGrath Breast Care Nurses in communities right across Australia, as well as making breast health understanding a priority.” We recommend that you donate to McGrath Foundation. Peter MacCallum Cancer Centre undertake cancer research, education and treatment. They have a public hospital in Melbourne solely dedicated to caring for people affected by cancer. We recommend you donate to Peter MacCallum Cancer Centre. Diabetes Australia work to “improve the impact of diabetes on the Australian community.” They do this by undertaking advocacy, providing services and tools to manage and prevent diabetes, and supporting diabetes research. We recommend you donate to Diabetes Australia. The Leukaemia Foundation fund research and provide free services to support people with leukaemia, lymphoma, myeloma and related blood disorders, and their families. We recommend that you donate to The Leukaemia Foundation. National Breast Cancer Foundation is a national body that funds “breast cancer research with money raised entirely by the Australian public." We recommend that you donate to National Breast Cancer Foundation. Movember fund “men’s health programs including research and health programs … focusing on prostate cancer, testicular cancer, mental health and suicide prevention” around the world. They also undertake activities that raise global awareness of men’s health issues. We recommend you donate with confidence to Movember.